Every so often I crave a simple rib without barbecue sauce ….. yes it is true, ribs can be fabulous minus the barbecue sauce (even one as great as mine!) Try these, very easy to do and fall off the bone tender. Serve with a greek salad, some grilled vegetables and garlic toast – pretty darn yummy. Combine all the dry ingredients, mixing well. In season I like to use fresh herbs, but in the winter when we just can’t get them I use either dried or frozen herbs. Give the ribs a nice little massage with the olive oil – drizzle lemon over top. Now generously sprinkle herbs with seasoning and the lemon zest, and give it another little rub to make sure all these seasonings are covering every surface. Cover tightly and allow to marinate. A couple of hours will do the trick, but I really prefer to do this the night before so the flavours go right through and the lemon has a bit of time to make those ribs even more tender. I find it easiest to do this right on a foil covered baking sheet, with the ribs covered in another sheet of foil – that way you can just put the whole thing in the oven without any further fuss. Bake in a slow oven – about 300 degrees for 2 1/2 – 3 hours – until they are tender but not off the bone. Finish on the grill just to crisp up the edges – drizzle lemon over top and serve! This entry was posted in Appetizers, Beef and Pork, Grillng, Recipes and tagged appetizers, baby back ribs, greek, grilling, main dish, pork by Chatty Kathy. Bookmark the permalink. 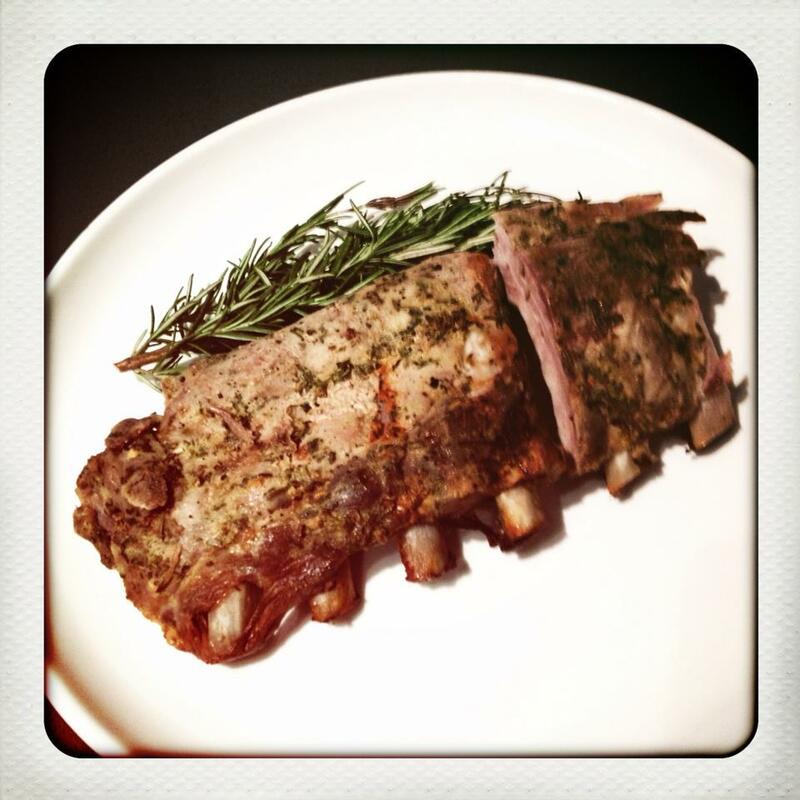 We tried this Greek style recipe for baby back pork ribs. While the ribs were tender, they tasted somewhat bland. Since no measures are provided for the dried spices, we used 1 tsp of each. Should we use different measures for each of the spices?